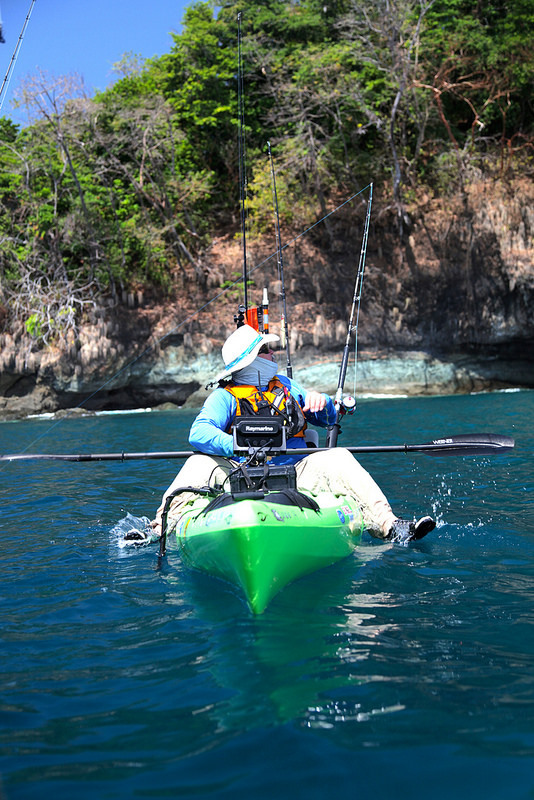 An opportunity to join Jim Sammons and James McBeath on a trip to Panama to film an episode of The Kayak Fishing Show with Jim Sammons came up and it was a no-brainer to hop on board. 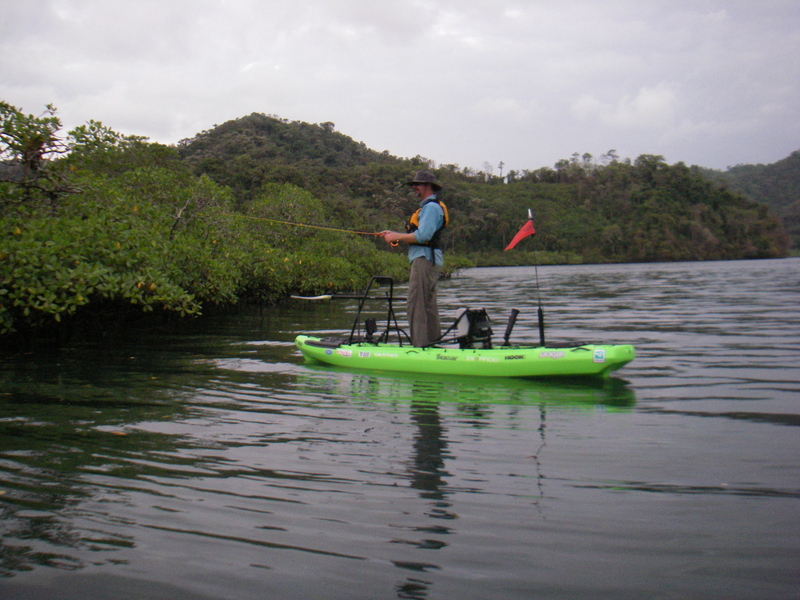 Our outfitter/guide was Hennie Marais with Paddle Panama who had his brother Peter along to help run a smooth operation. As it turns out Peter is a world class grillmaster and proved to be an excellent addition to the expedition team. I made it to Panama City, got through customs, picked up my bags (which made it despite the short layover), and met everyone as our taxi was being loaded up. Jim, his producer Will and I had only previously exchanged emails with while James I fished with in the Everglades, way back in 2011 when I first joined the Jackson team. We were hungry so naturally where does one go when in Panama City. Why T.G.I. Friday’s of course! Apparently the restaurant Hennie wanted to take us to was closed and this was close by. Take comfort in knowing that the T.G.I. Friday’s in Panama looks exactly like every single one in America. It wasn’t all bad, they still had local beer. Day 1 was travel by air, day 2 was travel by land and sea. We were looking at a 4.5 hour drive from our hotel to Santa Catalina, where we would then board a panga that would take us another 1.5 hours up the coast to Bahia Honda. We did finally get to eat some local food for lunch when we stopped in Santiago. It was buffett style and I have no clue what I ordered, but it was pretty good (FYI Panamanian Fresca is more like American Fanta). 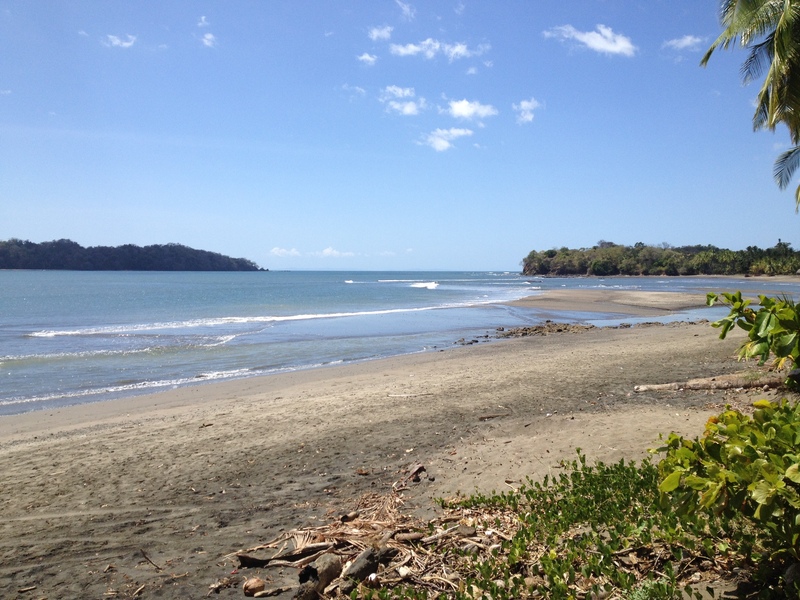 We loaded up on supplies at a local grocery then continued on through the Azuero peninsula. The drive through Panama was nice, everything looked so arid, but I guess that’s why it’s called the dry season. Sugarcane was the crop of note (in St. Lucia it was bananas), but the difference between Panamanian sugarcane and Louisiana sugarcane was the fact that theirs looked ready to harvest. Roads were surprisingly good, some rough spots here and there, but overall good, of course take my opinion with a grain of salt, Louisiana roads are terrible. 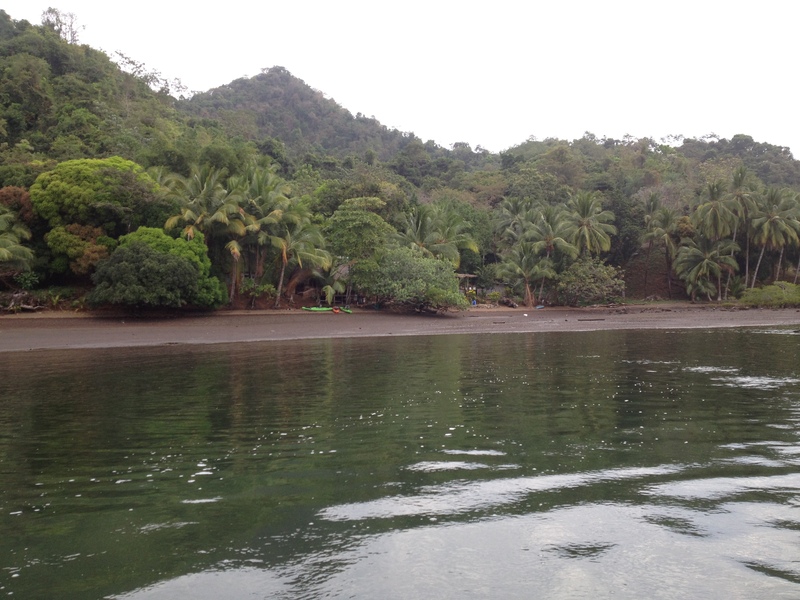 We made it to Santa Catalina and drove right out onto the beach to load our gear on the panga. There we were greeted by our host for the week Edwin and through spanglish he and I discussed a little bit of fishing, enough to get me excited about the week to come. It was about this time that we realized we made a huge error. One of Jims bags was left back at the hotel. It had been left in our room during the commotion of loading the van in the morning. Important takeaway here is to always do a dummy check before you leave a hotel. We would get the bag back later in the trip, but it was a costly mistake for sure. Still, the Pacific Ocean was beautiful at this spot. 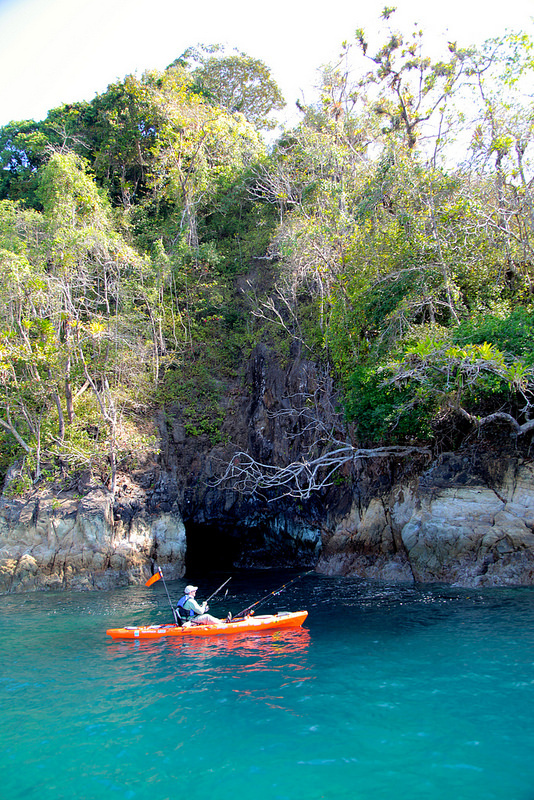 Santa Catalina is a big surf destination in Panama, but it didn’t look like it here – which made it a great place to load a panga with gear. The boat ride up the coast was awesome. The water was so blue and the elevation of the mainland provided a really nice backdrop when cruising up the coast. Not seeing a bunch of other boats on the water was really refreshing as well. 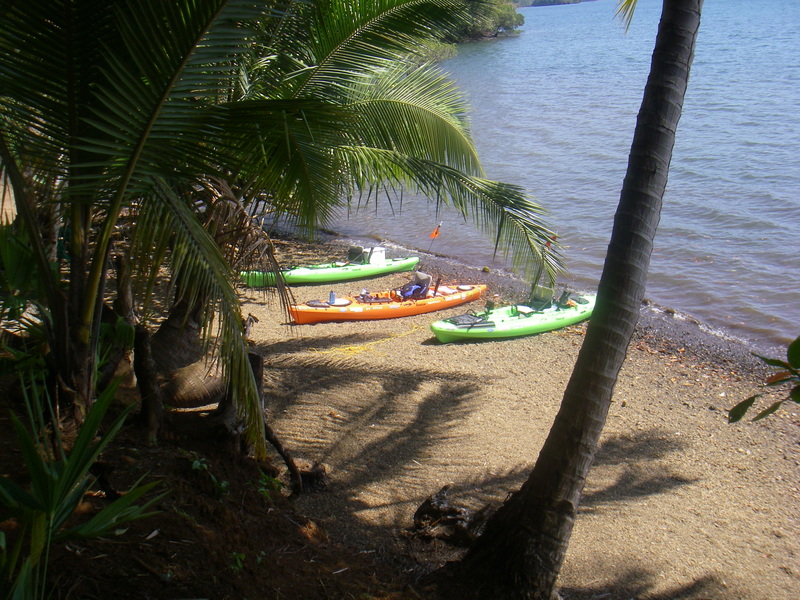 Our destination was Edwins house, which was located on the mainland in a protected bay just off the Pacific. Their set up was incredible, with two thatch roof bohios that served as lodging and a plumbed bathroom, it would prove to be a perfect base camp for the week. 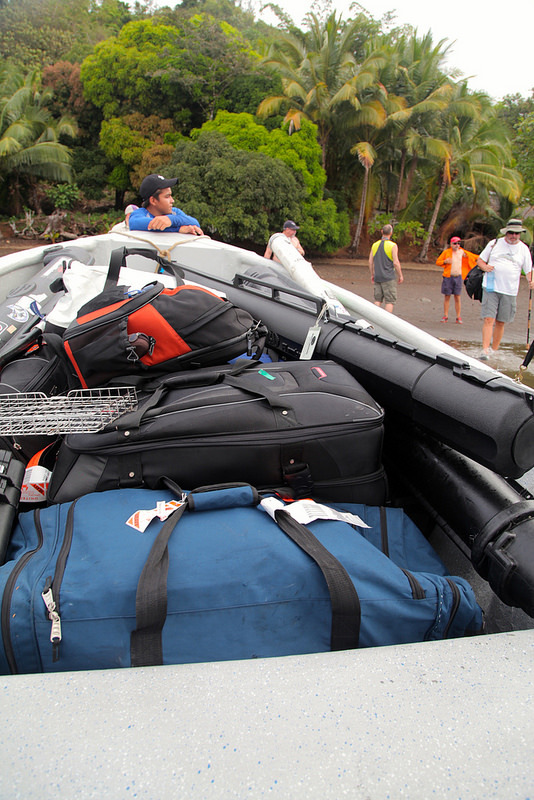 While Hennie and Peter were busy getting everything set up we started rigging up our rods, reels and kayaks. We had brand new boats, two Cuda 14s and a new Big Rig to use while we there. James chose the Big Rig, having fallen in love with it in Florida, Jim went with the lime Cuda 14 while I chose orange. Giant hawkfish – they were like the bream of the rocky, shallows we fished. Always happy to catch a new species so I was having a ball with these little guys, but that wasn’t what we were after. 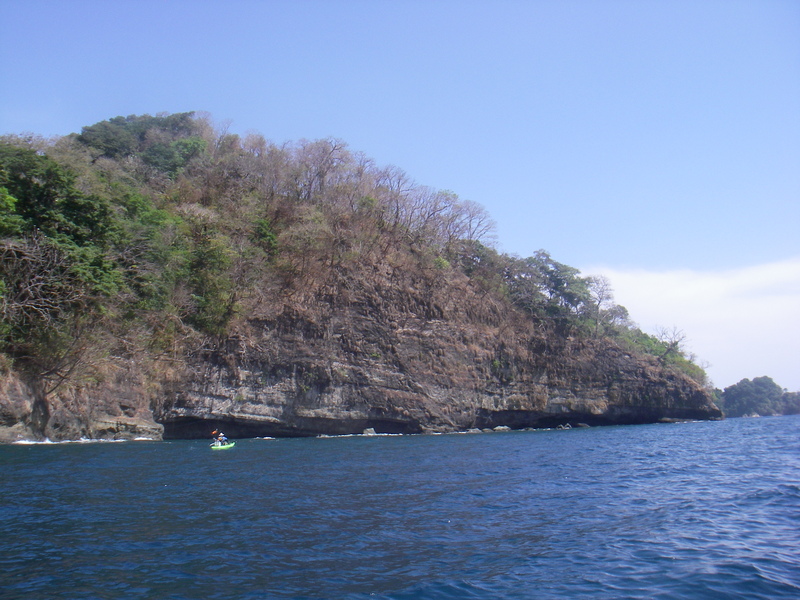 The island itself was very cool too, comprised of lava rock, it seemed to shoot right out of the water. There were even a few little caves to explore, though the waves had me hesitant to explore them further. At lunch we headed back to camp to grab something to eat and get a little rest before we would hit another spot in the afternoon. This spot was at the mouth of the bay we were staying on, like the first spot we hit it was an island with an adjacent channel that made a convenient place for predator fish to ambush prey. 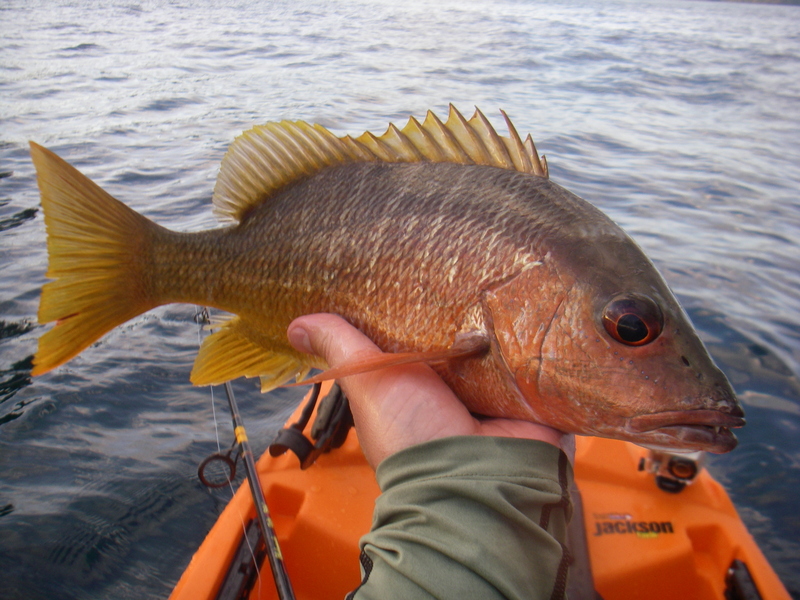 I put the swimbait to work and picked up more hawkfish and a couple more new species to me – a yellow(amarillo) snapper and an orangeside triggerfish. By the way, I had no idea what any of these fish were when I caught them, but this is what I’ve come up with through internet research. Let me know if I’m wrong. No big fish for me our first full day out but a really productive day catching new species. Fishing the artificials in the shallows was fun, but it was obvious that live bait was needed if we wanted to get into some better fish. The tactics that have previously worked in Panama for Jim were not paying off like they had in the past so we had to change things up the next day out and that started with having more live bait available to use. My first full day fishing in Panama was a lesson in diversity. It was very cool to see four different species come across my hull in 1.25 days of fishing. Our second full day started with another brilliant sunrise. Every morning we were greeted with an amazing sunrise. Not to be outdone, every evening we were treated with an equally impressive sunset. Life in the tropics is nice like that. I wish I could say I killed it our second full day out, but the truth is I sort of took one on the chin. Jim found fish in the morning with a popper, catching a few small jacks near a rock pile. I tried to emulate his success and had one on too, but he soon threw the hook. We worked the area until lunch and the only thing I had to show for it were more hawkfish. After I ate lunch I set out to try and catch us some bait. I managed to catch one little guy on a sabiki rig, but was unable to catch any of his friends, so after using a JK Nalgene as a bait tank, I let him swim free. I was really after the bonito since big bait catches big fish right? I was chasing them through the bay much like on our first half day fishing. I made it into a little shallow cove that had a mangrove covered shoreline – had this been on the Caribbean side I’m sure it would have been covered up in bonefish, but all I was seeing were parrotfish and I don’t think I had flies for parrotfish or any idea how to go about catching them. There was a rocket of a fish that would scoot his way through the cove, marauding bait fish then fleeing like he just robbed a bank. Hennie thought it might have been Pacific sierra mackerel. I had my fly rod with me but getting a fly in front of that fish was fruitless – he moved at warp speed! 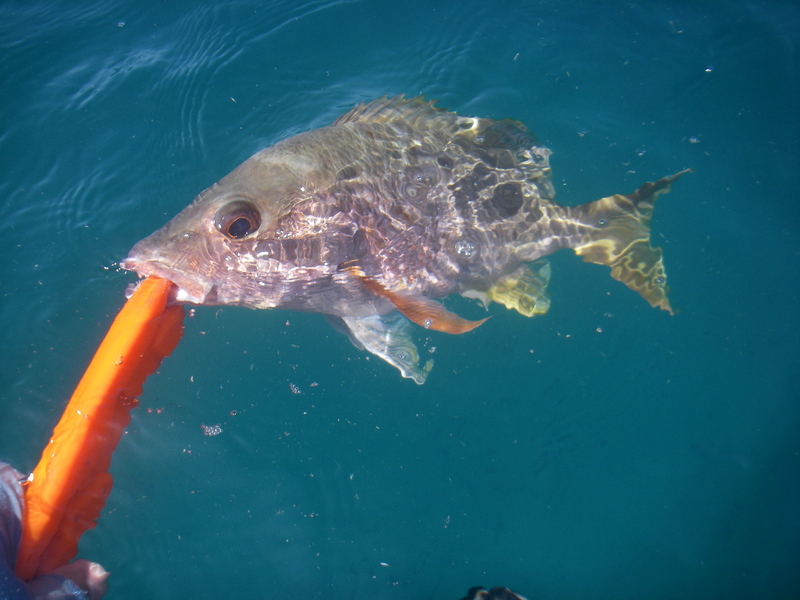 I did get a follow from a mangrove snapper and briefly had a pufferfish on but nothing brought to hand. The mangrove tunnel up a creek was the highlight. I wish I had more time to explore, but we were headed back out to the deep water. Jim’s bag had arrived during lunch and much rejoicing was done. 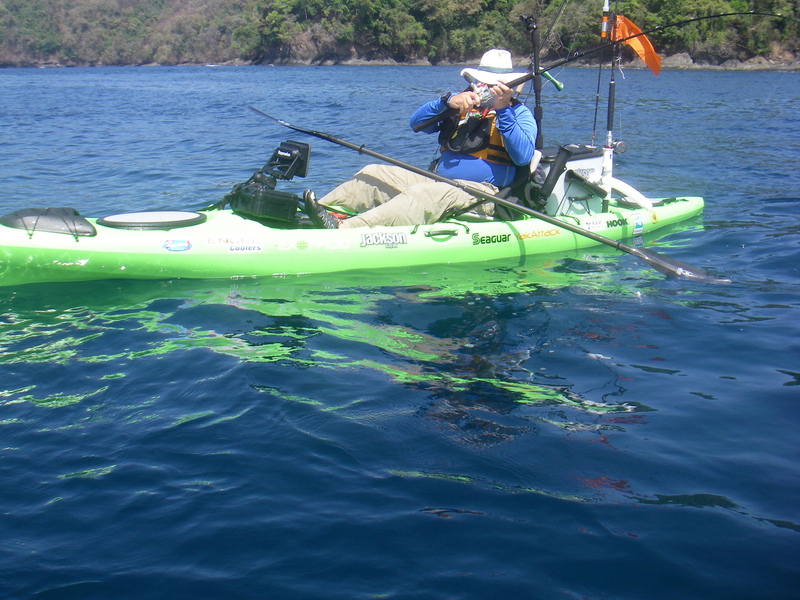 It was a huge relief to all of us and I know that Jim getting all of his equipment back and set up the way he likes it on his kayak made him much more comfortable and thus a better fisherman for the rest of the trip. Fishing isn’t just a physical sport but a mental one too and getting that dropped from the back of all our minds was a good thing. That afternoon’s fishing was still tough though and my struggles continued. In fact I’m still kicking myself about the what transpired that afternoon. I was working the rock pile in the picture below, casting a popper up to it and working it back out. I had made a lot of different casts around it hoping something would take notice. Normally I would make a few casts and move on, but I was also freelining a live bait behind me and wanted to keep this bait in the channel to my rear. Choke points like this are typically fish highways and it made sense that eventually something would hit it so I was working this one spot pretty thoroughly. I finally get hit on the popper and I know it is a good fish. I got a solid hook set in him and he took that popper and went straight down, my drag be damned. My popper ended up hung on the rocks and I couldn’t pull it out. I’ve never had that happen, lesson learned that my drag needs to be set to stop in Panama. I moved away from the area to let it settle and fish a different rock pile across the channel. In that time the camera boat sees something in the water. Wouldn’t you know it but my popper had floated back up. It must have still been in the fish’s mouth when I broke it off and he worked it free. I should have played him longer, free spooling, hoping he would swim out the rocks, but I was impatient. After a little time I came back, this time with a bigger popper and a stronger drag setting. It didn’t take but a few casts for a fish to come clear out of the water to attack my popper. The reddish/brown body was a dead giveaway that I was dealing with a big cubera snapper. This time I set the hook on the fish, fought him for a good 15-20 seconds and then the line went limp and my popper floated up. He must have been barely hooked, I was heartbroken – again. That was the how my second full day fishing in Panama ended, the big cuberas played me for a fool. Having little experience fishing for big ocean fish, losing fish is all part of the learning process. It was a tough lesson to learn too because it would have been the biggest fish we had caught thus far and would have been a great part of the episode. You travel so far, you want everything to go right and try to eliminate these kinds of mistakes, but they still happen. The next morning we moved to an entirely different location. This spot was probably the most scenic we had fished on the trip. A small archipelago of islands in the middle of the ocean surrounded by swells and currents, even some that dissected the islands, and created chaos that looked difficult to navigate. A beautiful, potentially treacherous spot. I couldn’t help but think of that final scene from “the Goonies” when One-Eyed Willies pirate ship goes sailing off into the horizon – it looked like that, except more tropical and less like the Pacific NW. Boiler rocks are pretty intimidating to someone who has never paddled around them. We don’t have rocks in south Louisiana and the depth of the water I fish is nowhere near what it was in Panama. So initially I was hesitant to get too close to them but as the week progressed I became more comfortable around them. Your awareness and your paddle strokes have to be spot on because the last thing you want is to get carried into the rocks. We fished hard around these islands and I don’t think we had anything to show for it by lunch except for some nice pictures. 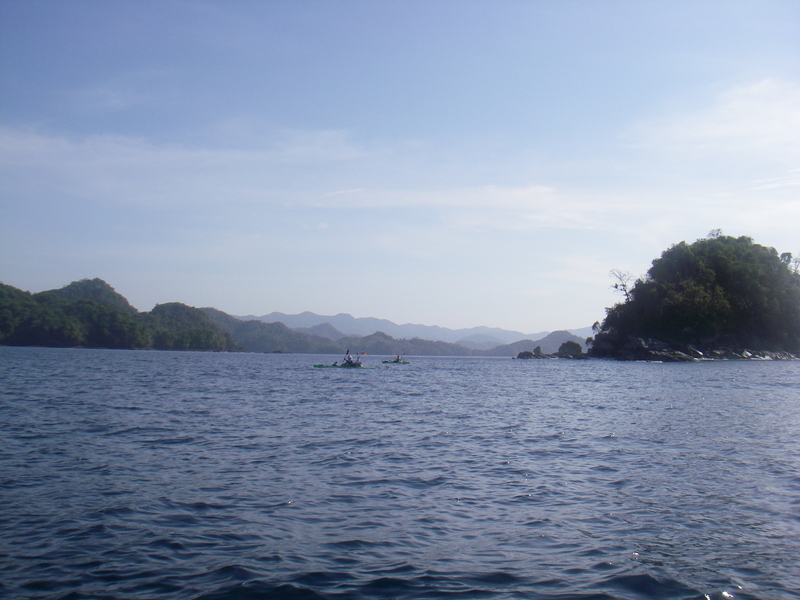 Besides the pictures the best thing to come from this spot was that we had a whale shark encounter. I say we, more specifically, James’ boat got bumped by a whale shark, he stuck his GoPro in the water and got the back end of it swimming off. Unfortunately the rest of us didn’t see it but he does have video to prove it. At about the same time Will on the camera boat said they saw a humpback whale surface then go under for awhile and come up a good distance away. Since fish were proving to be hard to come by we headed elsewhere, back to where the locals said we needed to be from the get go and finally our luck turned around. With his Raymarine Dragonfly Jim was able to find some underwater peaks that had fish holding around them and he started getting hits vertical jigging. I was able to get in on the action when a jack hit my live bait. Finally a fish that pulled some drag and what I believe is another new species for me on this trip – a bigeye trevally. The depth finder proved to be a very valuable tool for this trip and I didn’t really realize it until this fish was caught. I’ve never used one in the past and even though I didn’t have one on my kayak it was helpful that someone in the group had one – and knew how to use it. This would prove to be a kind of turning point for us. The nearshore areas we worked so hard just weren’t producing so we shifted our focus to deep water spots, working those areas with live bait and by vertical jigging. This was key because the next two days of fishing were the best we had the entire trip. Our efforts were focused on deep water features our fourth full day out. Jim and James both had Raymarine Dragonfly set-ups on their yaks and when they found fish or structure they would sit on a spot and start vertical jigging. Without a depth finder I was just trying to follow their lead. The good thing was even when we weren’t jigging we still had freelined live bait in the water. Jim was a master at vertical speed jigging and he was constantly able to put himself on top of fish and get hits. It was really fun to watch him work. He caught a few nice almaco jack and had a few other fish break him off that most likely would have been studs. 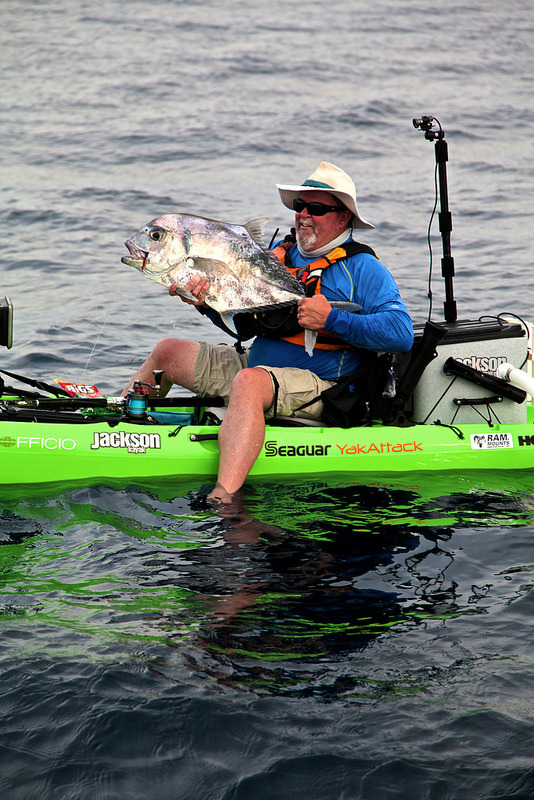 Vertical speed jigging to me felt extremely awkward in a kayak, but Jim made it look easy, his rhythm was perfect. 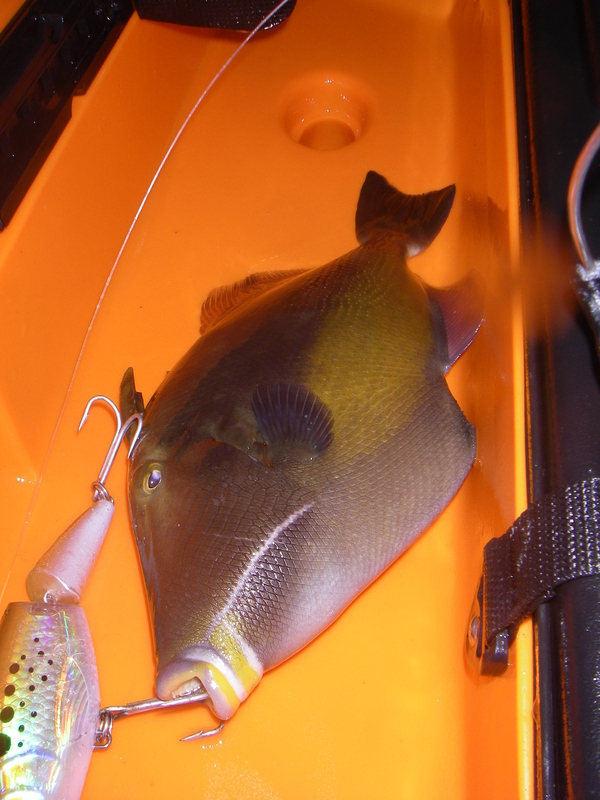 Luckily for me my live bait rod took off and I landed another nice bigeye trevally. As the bite waned at the first spot we spread out to try and locate another productive area. Jim again had found it near a rock pile across the channel and continued to jig up more jacks. I moved in line with where he was positioned and was able to jig up an almaco of my own on the first drop. Not a new species to me as I’ve caught them in the Gulf, but another new species on this trip. The bite here tapered off as well and again we spread. It didn’t take long for Jim to hook up, only this time it was unintended. While vertical jigging a school of manta ray swam under him and he caught one almost in the corner of the lip. James got some good under water shots with his GoPro and we slipped the jig out and let it swim off to join his friends. It was just a little guy but still pretty cool to see a manta up close. 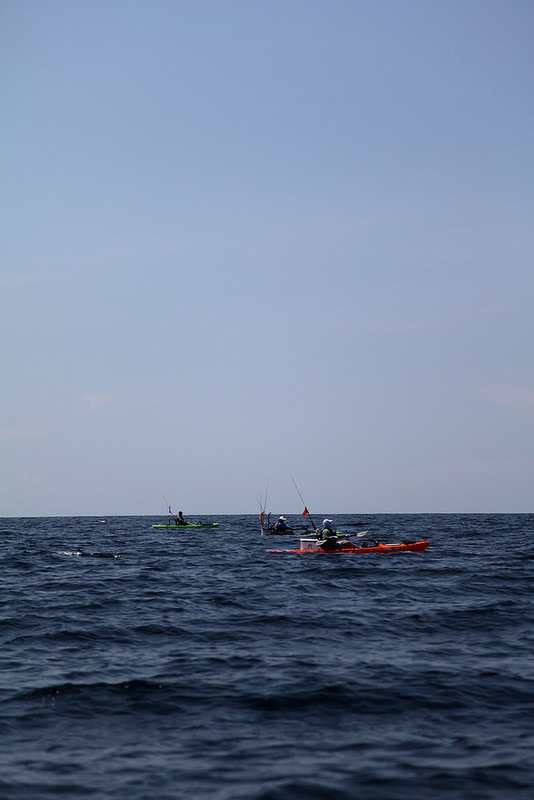 After that I ventured into some shallow reef throwing a popper and dragging a once-live-now-dead bait behind me. I made a long cast toward some rocks and immediately got swirled on when it hit the water, no hook up though. I popped back in and made another long cast but this time started reeling in with a little pace and an aggressive pop. With the water being as shallow and clear as it was I got to watch a fish follow my bait the entire way back to the boat. I let the bait pause right at the boat and gave it that last twitch and the fish explodes on my bait, splashing me in the process! Not one of the bigger fish I caught on the trip but definitely one of the cooler moments as I pulled that yellow snapper in. I began to make my way back to the support boat to change my dead bait for something fresh and not long into my paddle the bait takes off. Still being close to the shallow reef I wasn’t really sure what I had on because I haven’t seen any sizable fish come from that area, but the fight didn’t last long and soon enough I could see why. I had caught a dinosaur. A big, skinny needlefish that looked like the gar we catch back in Louisiana, except this thing was bright blue. I think it is actually a houndfish, in the same family as the needlefish. Very cool looking fish and pretty too. The blue on it was electric and even the teeth and jaws were blue. Hennie told me the bones were blue too – our boat captain was quick to tell me to keep it. I don’t know if they are good to eat or if they just eat anything that comes out of the water in Panama, but if I could provide a meal for a local family I was more than happy to oblige. After that fish we got separated from each other – Jim fishing one side of the island and James and I on the other trying to jig up jacks like we did in the morning. Eventually we get the “Fish On!” call from Jim on the VHF and all I can hear in the background is a reel screaming! There weren’t many moments when we weren’t all within sight of each other but this was one of them. James and I start making our way toward Jim and by the time we get there he had the biggest fish of the trip caught and released. It was a 70lb roosterfish – the first and only rooster landed on the trip and, Jim’s personal best. I’m bummed that I didn’t get to see it in person but very happy that Jim was able to corral that beast. It is pretty cool just being on the trip where Jim landed his PB rooster. 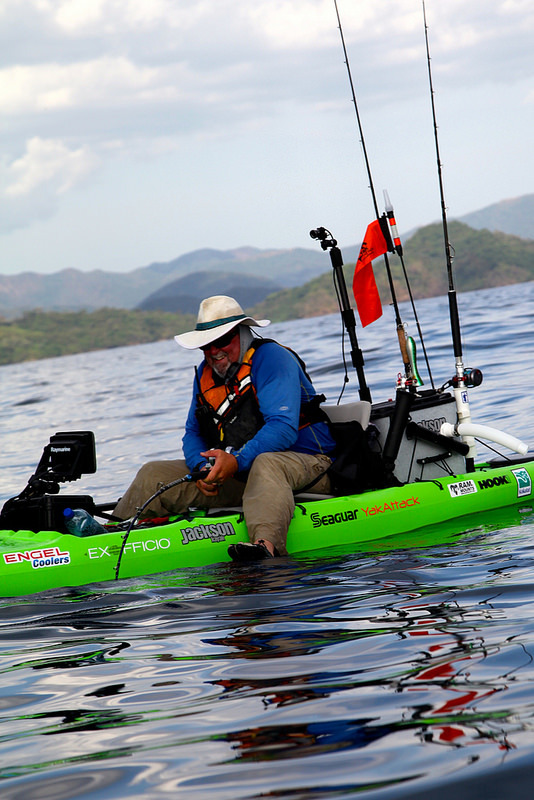 The man has seen and done it all in a kayak, he deserved that fish with the amount of work he put in on the trip. Yeah it’s just fishing, but as I found out over the course of the week, fishing for fun and fishing for TV are two totally different things. 12 hour days in a kayak are tough on the body, no matter what shape you’re in. It amazed me the amount of work that goes in to make a 30 minute show. I know having this rooster on film made it all worth it. You would think that would be a good time to call it a day. Go out on a high note. Jim wasn’t done though because as we begin to work the area again, this time together, he hooks up for a second time. He lands the first African pompano of the trip. With that fish we knew we would be eating good that night. It was awesome to have a day where everything came together. It felt like we had made it over the hump and finally figured this place out. Or it could have been that the fish finally cooperated for us. Whatever the case may be this day was much needed. We headed back to camp to eat some of Peter’s delicious grilled chicken(and pompano) and down some cold beers and rest up for the next day. We spent our last day in Bahia Honda fishing until lunch and then shooting some other bits for the show in the afternoon. James and Jim got into fish that morning with Jim pulling in the only grouper of the trip, but I actually got skunked. I was a little disappointed to end the fishing trip on that note, but nothing was happening for me that morning. There was a little section of the island James and I explored where the rocks created a narrow chute you could paddle through. If you timed it right a swell would come through and propel you through the chute without even paddling. 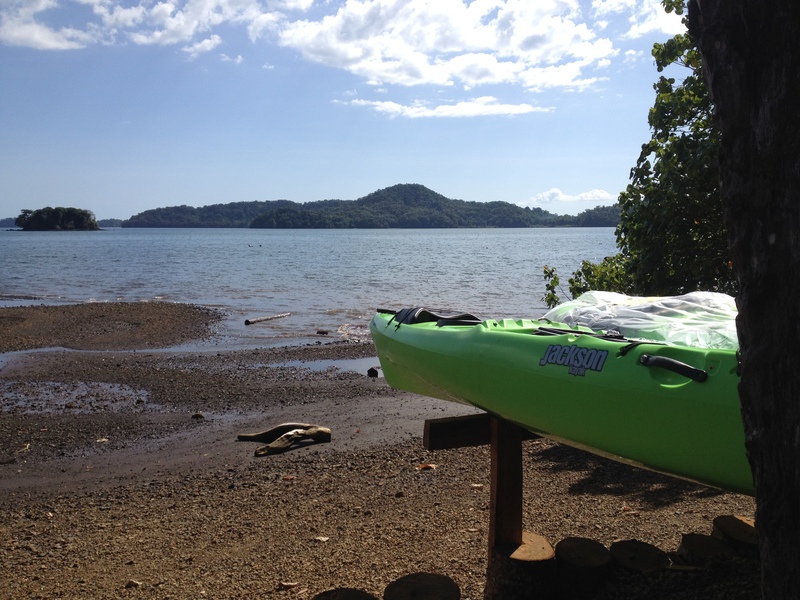 Couldn’t help but think that Panama might be a great place to test out the new Karma RG. At lunch we did some other pieces for the show and began the packing process. 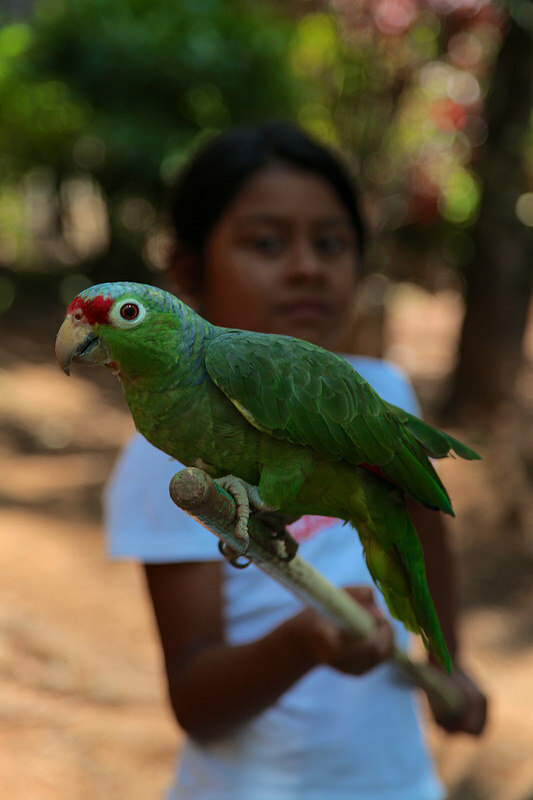 Edwin’s daughter, Daisy, brought out some of their pet birds and Abuelo came around with some hand carved wooden bowls he had made. 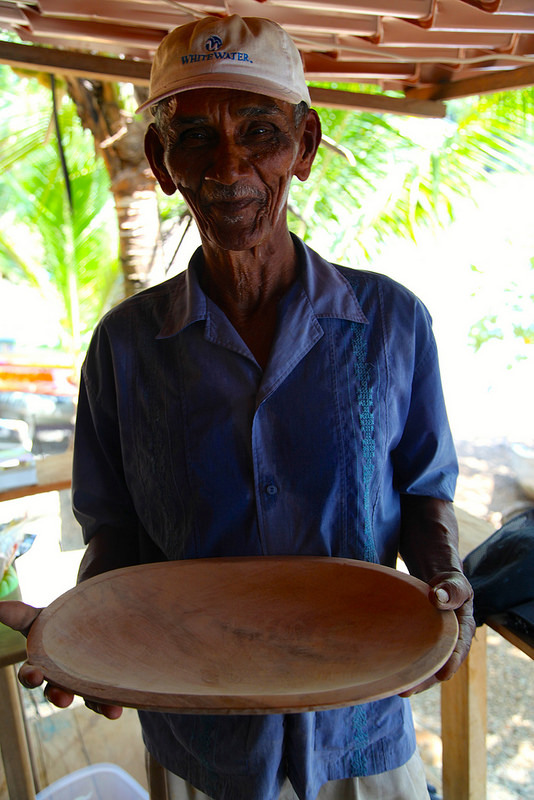 They were beautifully crafted and looked as if he took a lathe to them, but he assured us they were all made by hand. I think we all went home with multiple pieces. Once James and I were finished with what we needed to do we headed for a last little fish in the bay with fly rods in hand. We headed for the mangroves and started working the edges. I had a few follows from some small mangrove snapper and James thought he missed a snook, but we failed to bring anything to hand. Coming from an inshore background I think it would have been really fun to devote a whole day to fishing the bay, especially the area around the mangroves. It has great potential for the light tackle fisherman. 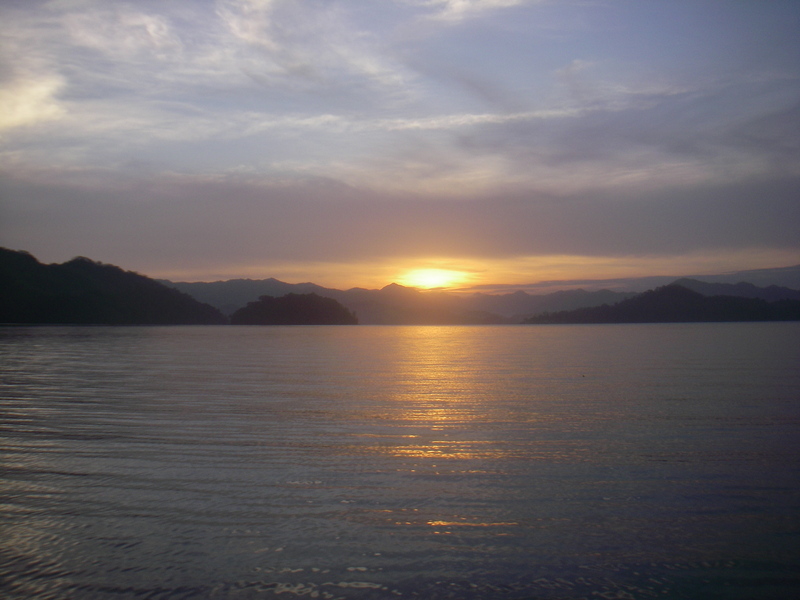 The bay is completely protected and was a great place to fly fish. I blame not catching anything on the fly rod because I didn’t have my whole arsenal of flies. It wasn’t for lack of fish, that’s for sure. I got to say James paddled the Big Rig the whole trip and he kept up remarkably well. It may be more at home in shallow water and around the mangroves, but I was surprised at how well it handled the open water paddling and swells. It was definitely impressive and it comes with more bells and whistles than a stealth bomber. 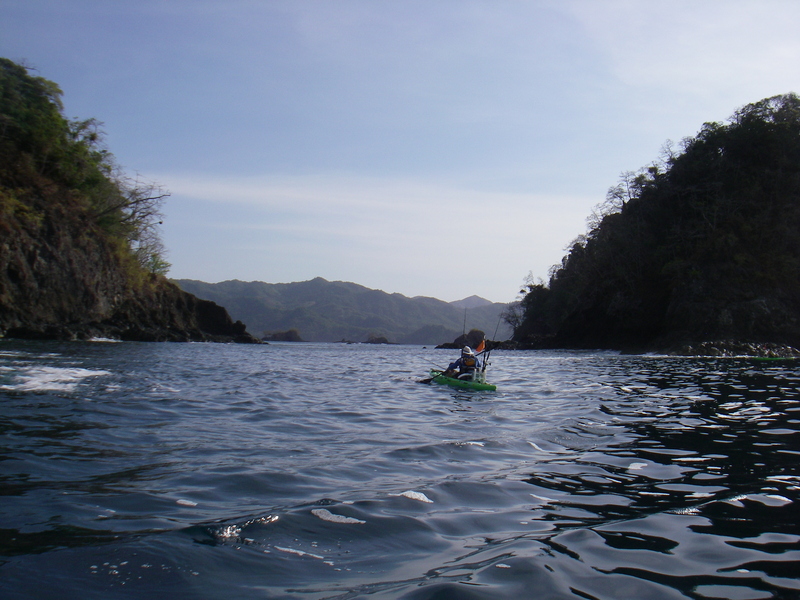 The next morning we loaded up the panga with our stuff, said our goodbyes to everyone, then headed back down the coast to Santa Catalina. Staying in Bahia Honda with Edwin and Rosalind was a real treat. Their hospitality is unmatched and they have an incredible set-up to host kayak fishing parties. The fishery they live on is amazing, we barely scratched the surface during our visit, so many species, so many different opportunities. I know the big fish potential is there because we saw that with Jims rooster. 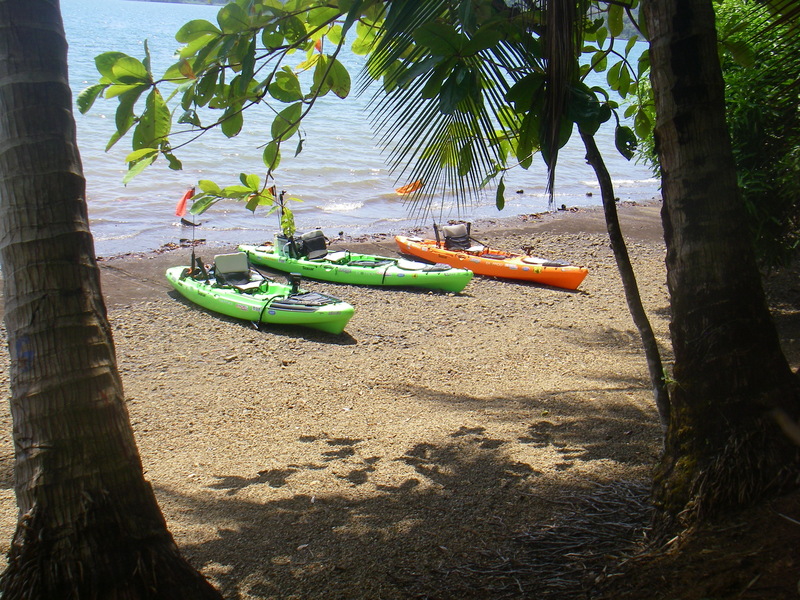 If you want to check it out for yourself get with Hennie at Paddle Panama. 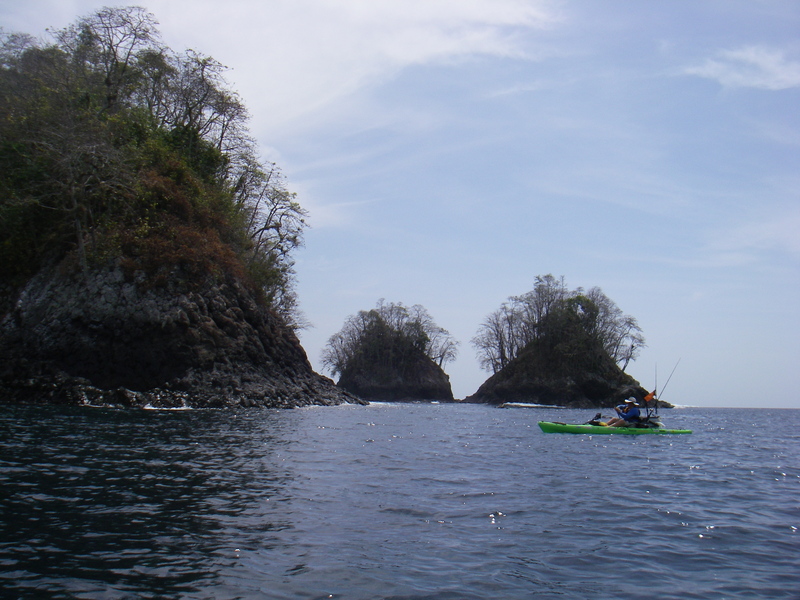 He was an excellent guide during the trip, very knowledgeable on Panamanian fishing. He took care of everything while we were there and runs a real top notch operation. The only thing we were left to worry about was catching fish. After the long taxi ride back to Panama City, we had enough time to get dinner at a restaurant that was around the corner from our hotel. It was a much more authentic experience than T.G.I. Friday’s and the food was pretty darn good too. Glad we got to experience that while we were in Panama City. The next day our flights weren’t until that afternoon, so we put on our tourist hats in the morning and went to tour one of the Panama Canal locks. The size of the ships and the amount of elevation they have to rise in order to cross the country is impressive. As well as the fact that the canal was completed 100 years ago – quite the engineering feat. 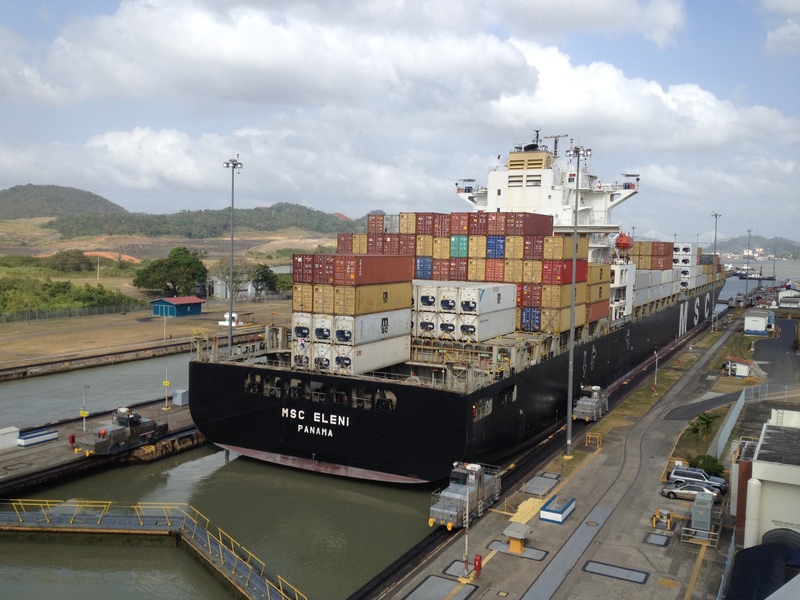 To think that the Post-Panamax ships that will come through once expansion is complete will dwarf those that are going through the locks now is mind boggling. After the locks we had one last meal in Panama City – dim sum, on Hennies recommendation. A Sunday tradition for he and his family and I got to admit that was pretty darn good as well. I can’t say enough good things about what Hennie has to offer here in Panama. 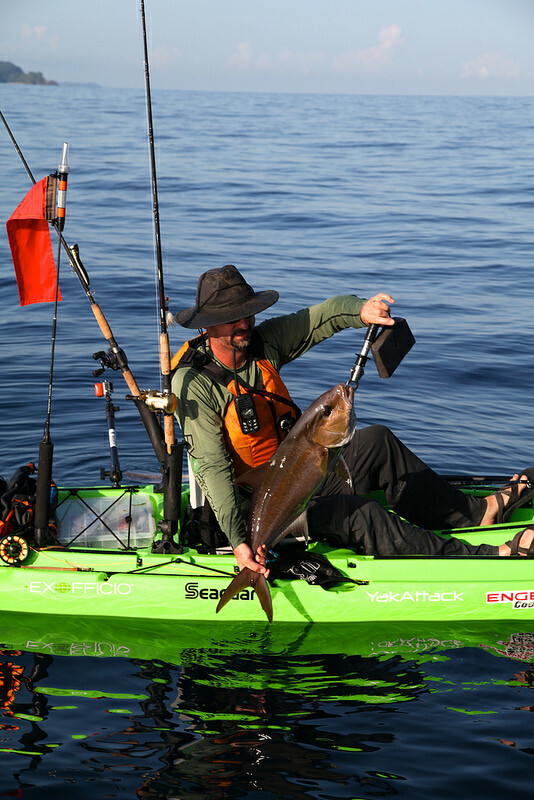 Besides the trip we went on I think he has three or four other options available that showcase what the country has to offer for the kayak fisherman. We said our goodbyes to Hennie as he dropped us off at the airport. I hope it’s not the last time I see him because it was a blast spending time with him and I’d love to get down there again. Like I said we barely scratched the surface. There was enough time at the airport for one more beer with the guys before we parted ways. I had never met Jim or Will before the trip and getting to know them was a lot of fun. I thought the dynamic of the group was great, which made for some really entertaining conversations. I hope to fish and work with all of them again in the future. This was loads of fun and proved to be a great learning experience. I have a lot to be thankful for to have had this opportunity. Now it’s back to the real world of dirty diapers and Mickey Mouse Clubhouse for this guy. Great read, thanks for sharing. I’m still learning and off to read about trolling livies now. I’ve only dragged slashbaits around.